Awesome recolours of the cheap phone from The Sims 2, even more awesome is that the handset gets recoloured as well which was an issue with early versions of base game phone recolours. 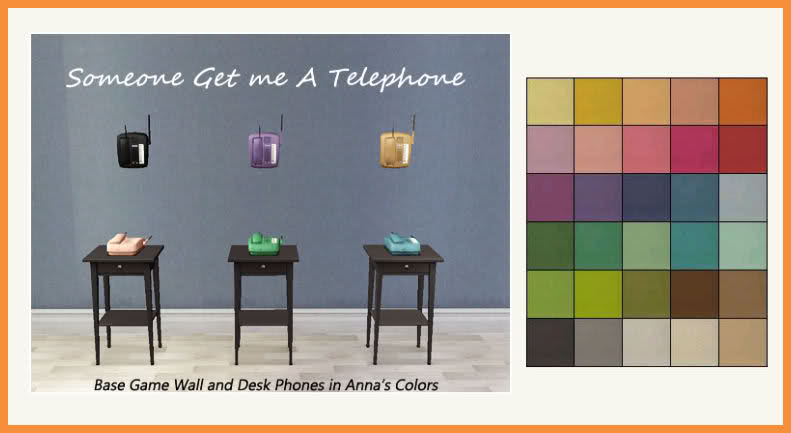 30 beautiful phone colours to use and enjoy. Now your poor Sims can have some style too.